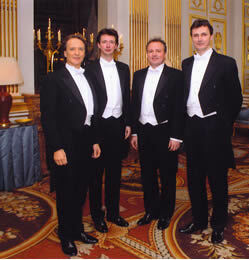 The London Quartet has long been recognised to be one of Britain’s great vocal groups. Founded in Cambridge as a purely a cappella student group, it first came to prominence in the Tim Rice musical Blondel in London’s West End. Since then, it has appeared in a huge variety of venues round the world, singing an astonishing range of music. It has toured extensively from the United States to South Africa to Southeast Asia and the Far East. 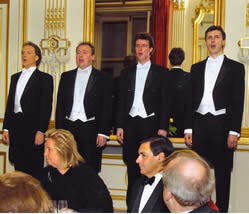 The ensemble has recorded seventeen albums, and has sung in the most prominent venues for the most prestigious clientèle, including Buckingham Palace for Her Majesty the Queen. They have presented their programme in French, German, Italian, Castilian, Catalan, Estonian, Greek, Turkish, Romanian, Portuguese, Flemish, Korean, Russian, Flemish and Latvian. 2 x 30 – 45 minute sets, can also provide sung grace at the start of a meal. Thank you once again for your delightful contribution to our evening. All our guests thoroughly enjoyed your performance and still talk about it with pleasure! 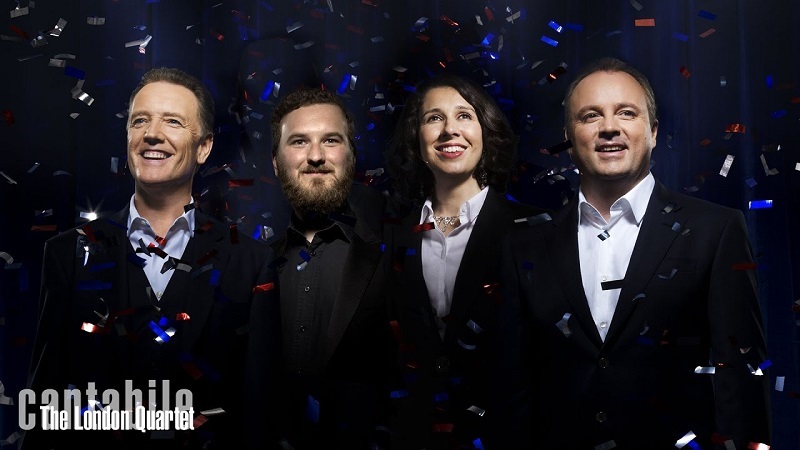 We would recommend Cantabile very highly to anyone wanting to add a humorous, memorable and musically professional element to an important event.